Properties in Clearwater Beach average 4.8 out of 5 stars. Property 1: An historic home in a garden setting 5 minutes from our 17th century town. Property 7: Beaches...Beaches....Beaches...Great Location and Charming!! Property 11: *Cozy. Private. Great Location! Walk to everything. Property 15: Private and Dreamy...You will NOT be disappointed! Welcome To Paradise 'AAA' - Private Romantic Getaway! Property 17: Welcome To Paradise 'AAA' - Private Romantic Getaway! Property 38: Located directly across the street from Warwick Long Bay Beach! LOCATION! LOCATION! at Cross Bay Private Estate & Beach - FREE Airport PICK-UP! Property 39: LOCATION! LOCATION! at Cross Bay Private Estate & Beach - FREE Airport PICK-UP! 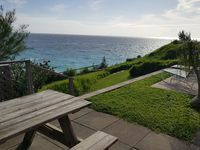 Property 40: Bright and Airy Bermuda Cottage - Twizy ready! Property 42: An apartment with best of both worlds, in the center of Town and close to water. Property 46: Tranquil Garden Setting, Private Waterfront - Sleeps 6, Twizy charger. Property 50: Beautiful Water Front Property - Snorkel, Fish, or RELAX in the BEST LOCATION! 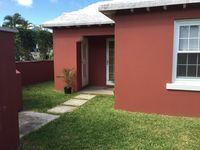 Very spacious and roomy 2 bedroom apartment. Theresa is a wonderful and attentive hostess who checked in on us and helped to settle us in. Location is living native, very family neighborhood and near Elbow beach. The apartment has a full kitchen, we used the washer and dryer several times, and very private. We will probably rent the space again in the future as it was great for our family of 3, but would work for a family of 4 as well. Oh and lots and lots of closet space!